Dedicated Indirect Jobs Wheelabrator Shasta Energy Co is responsible for approximately 75 dedicated indirect jobs, including fuel suppliers involved in collection, processing and transport of biomass fuel. Located in Anderson, California, the Wheelabrator Shasta facility provides dependable, environmentally safe disposal of wood waste and forest residue from Shasta County and surrounding areas, while generating clean, renewable electricity for sale to the local utility. 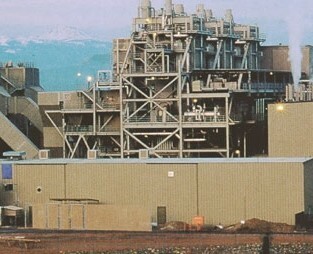 Wheelabrator Shasta is an energy-producing facility with 53 employees. 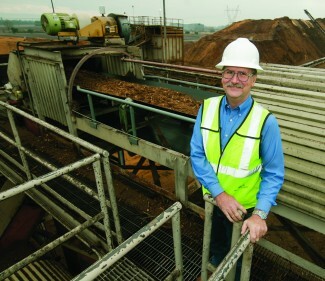 The plant uses wood waste as fuel, thereby converting waste into renewable energy that helps the U.S. decrease its dependence on foreign fossil fuels. Fuel is fed into three independent boilers with traveling grates. These utility-type boilers recover thermal energy in the form of high pressure steam that powers three turbine engines to create electricity that is sold to PG&E. Fly ash captured as part of the combustion process is used as a certified organic soil amendment throughout California’s central valley. Bottom ash removed from the boilers is used as a fill material for projects such as new roads or as alternative daily cover at the local Waste Management landfill. Wheelabrator Shasta processes approximately 2500 tons of wood fuel per day and has the generating capacity of 58,000 kilowatts — the equivalent of supplying the electrical needs of 85,000 California homes. Wheelabrator Shasta Energy Company Inc.
Join the California biomass industry and be part of the great story biopower has to tell about role it plays in California’s environmental and economic future. © 2019 Copyright California Biomass Energy Alliance.